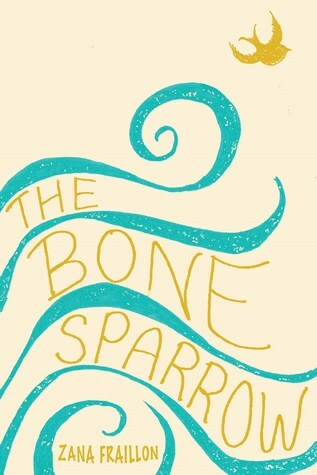 Upon first hearing about The Bone Sparrow, I thought, “Oh, this sounds like such an important book to read!” So, I added it onto my Goodreads TBR and never looked back. When I was spending a weekend at my cottage and went to the local independent bookstore, I got super excited when I found this book. I knew it would be awesome! My initial thoughts? Yep, definitely a very important read. Though it is technically branded as a middle grade book, I believe that everyone, regardless of age, should have the chance to get their hands on this book. Though there were still some tiny things about this book that bothered me, they will not stop me from recommending it. To give a summary of The Bone Sparrow, it revolves around a young boy named Subhi. So far, he has spent his life entirely within the Australian detention centre he was born in. In spite of this, every night his mom tells him stories that help him imagine the wonders of the outside world. When Subhi meets a girl named Jimmie across the fence, she asks him to help her read a special journal that once belonged to her mom. Little do they know what is beneath the writing inside of it. I adored both Subhi and Jimmie, but for this review, I am going to be focusing more on Subhi, as Jimmie slipped out of mind rather quickly. Anyway, first things first- the way Subhi lives is absolutely horrible. While reading, my heart broke into pieces for him. In spite of everything, though, Subhi was a great role model as he was a wise, knowledgeable character who made the best out of every situation. I can’t say this too often, but I know he is going to be a character I actually remember for a long time. The Bone Sparrow is a novel that is very diverse in its themes and cultures, and I am thankful that the author decided to spread awareness about these themes with us. Though it is terrible, it is reality and it is something that some people unfortunately still face today. The more we know about it, the more we are able to help. To conclude, even though subjectively I couldn’t really relate to the story, The Bone Sparrow is objectively an amazing novel that should be known about. The morals about being able to accept and appreciate change and to not trust everyone’s opinions were spectacular, and overall, this book has the potential to become a favourite of SO MANY. Would I recommend it? Most definitely- it’s a must-read!